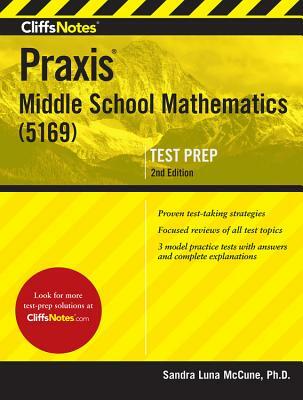 Taken by people who want to be certified to teach math at the middle school level, the Praxis Middle School Mathematics test has been revised to reflect the Common Core State Standards for math. The test is computer-based and administered year round. SANDRA LUNA MCCUNE, Ph.D., (Dripping Springs, TX) is a teacher-certification author and consultant, and former Regents professor in the Department of Elementary Education at Stephen F. Austin State University.